What is the e-Commerce? In essence, e-Commerce website business activities focus on selling, buying, and product catalogue transactions while communicating through online media, in order to attract customers without cutting prices, and value of products. 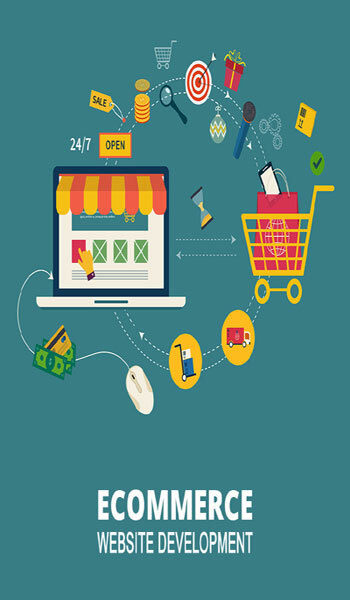 Various applications of e-Commerce website development are continually affected all modern trends and prospects of online shopping business through various online shopping carts, with a variety of payment models – including Snapdeal, eBay, Theitdepot, Letsbuy, Flipkart, Naaptol, Shop InOnIt, and Redbell. e-Commerce website development in India is an established development task based on complete utilization of open source platform and free access of (CMS) comprehensive Content management systems. With an immense range of solutions from the e - commerce community, Web site development is reaching a top role in internet marketing, and development of business ethics. Furthermore, e-commerce website development criteria classifies a variety of virtual storefronts, shopping cart inventory management, product showrooms and product ordering in the supply chain and logistics services by using ratified e-Commerce web applications – including Batavi, Magento, nopCommerce, OFBiz, osCommerce, osCMax, PrestaShop, Spree Commerce, VirtueMart, and Zen Cart. Omkarsoft is one of the best eCommerce development company in India which is the result of years of tremendous dedication and experience in the field with an ultimate goal to achieve success. We offer wide collection of characteristics that are available only with high priced organizations. We look forward to deliver high quality services, customer-friendly and future-oriented e-Commerce website development services, in order to serve the needs of consumers both from local and global regions, by utilizing CMS and page modeling, using the MVC framework.